Sharp & Engaging, ROI driven Website Designs & digital marketing strategies that drives business for our clients. IFW Web Studio, a full-time website design and digital marketing wing of the parent company, IFW Techno Creations Pvt. Ltd. Based in Udaipur, Rajasthan is one of the foremost offshore service providers in India, offering a range of web designing and development services to organizations across the world. It's our constant endeavour to continue being the leader in providing customized website designs, digital marketing solutions, branding & Corporate identity design along with a forte of available services in web domain. 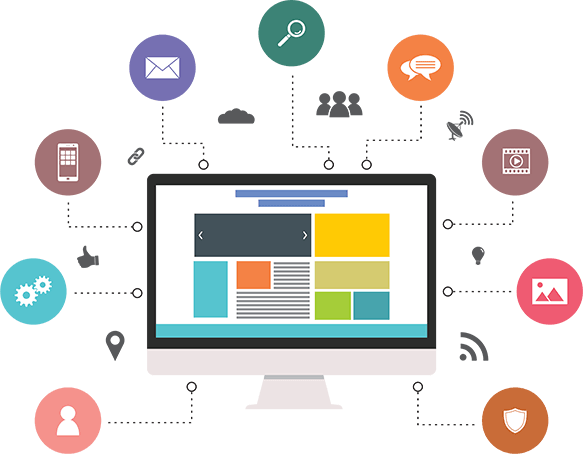 Our strength lies with our superior knowledge of website design on HTML, PHP, Wordpress, Joomla, magento, opencart etc, which help us deliver value to our customers through our quality website development. Our Digital Marketing strategies entangled with search engine optimization, social media management, PR management, e-mail marketing, mobile marketing, PPC campaigns have always delivered desired results to our clients across India. Competitiveness and Quality is what IFW believes and brings to its family of clients when it takes on any assignment. When you work with IFW Techno Creations, you can be confident that our specialist technical know-how will complement your own, giving you quality results within realistic timescales. Our Clients provide us work because we maintain complete transparency about our capabilities, listen to their needs & respond with on time deliveries at best possible costs. Since our inception in 2004, we have progressively grown into a quite renowned provider of high-quality, cost-effective online web solutions including websites and digital marketing for companies in Udaipur, Rajasthan, India and we attribute this to our ability to evolve continuously and our flexible approach towards the dynamic business world. Currently, we have a proud portfolio of more than 1000 websites, and have managed more than 500 digital marketing campaigns over the last few years. Have a IFW Web Studio expert contact you.